Eirteic works with its customers; enabling innovation, unifying and simplifying operational architectures, allowing them the agility they need to react to its ever-changing needs. While most organizations are on the side of just one piece of the equation, Eirteic is able to deliver consultancy to connect the three essential touch points for improving overall IT efficiency: People, Process and Tools, with the overarching mission of better aligning the objectives of IT and the business. 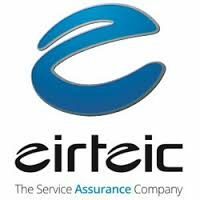 Eirteic’s experience over the last 15 years stretches from helping to safely drive complex OSS transformation to develop roadmaps and strategy to optimise business operations. We leverage best practice frameworks such as TMF Frameworx & ITIL, to get the most our of your tools. Working closely with our vendors partners including; Monolith Software, IBM, SevOne Cisco and FNT across Service Assurance and Unified Infrastructure Management.